MILWAUKEE – (November 8, 2017) – Johnson Controls announces the immediate availability of the DSC iotega, its next generation wireless security and automation solution designed to provide safer and smarter living for homes and small businesses. With built-in, industry-leading PowerG wireless technology, iotega provides a fully encrypted security system that elevates homes and businesses to a new level of security while including remote interactive smart services and allowing new revenue streams for security dealers. It provides superior reliability with end-to-end 128-bit AES encrypted 2-way sensors and includes multiple advanced security features such as a built-in siren, 2-way voice, 99 user codes and Transport Layer Security. PowerG technology addresses the key requirements for wireless security systems, including reliability, performance, privacy, minimizing vulnerability, increasing usability and decreasing maintenance. 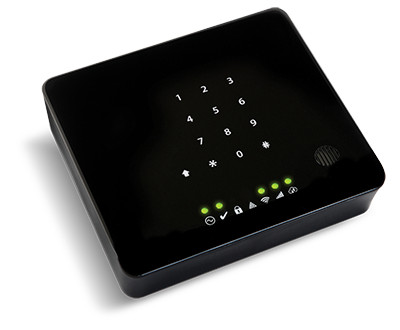 Discrete in design, iotega includes a vanishing touch keypad, as well as an optional 7” Wi-Fi enabled touchscreen, wireless keypad arming station and flexible software app compatibility. Installations are quick and easily followed via a step-by-step portal. Configuration of devices, system diagnostics, and upgrades can be handled remotely, reducing truck rolls and enabling cost effective, yet responsive, customer service. There is also a user-replaceable battery, so that end-user support and maintenance needs are minimized. As an intelligent full premises management solution, iotega allows end-users to view cameras, lock doors, adjust temperature, switch on/off lights and enables a wide range of other home automation features. These actions can be implemented on demand or by set scenes and schedules, powered by SecureNet’s easy-to-use app. For installers, the SecureNet platform offers a comprehensive system management portal and an iOS and Android compatible mobile app that can be customized for dealer brand enhancement and additional revenue opportunities. The SecureNet platform is fully integrated with security monitoring stations. With the demand for all-in-one smart home and business automation growing, end-users are looking for a solution that meets their needs. As a modular solution, iotega easily scales to accommodate the full range of home and business lifestyle demands. Customers can start with the security only package and evolve into full security and automation solution. iotega supports multiple wired and wireless technologies, including PowerG 2-way encrypted wireless sensors, Ethernet, WiFi, Z-Wave Plus and cellular (3G and LTE*) upgrade, providing end-users with flexible options for their home automation network. "Working with DSC’s iotega team on the launch of their latest security offering is tremendously exciting for SecureNet. We believe the combination of iotega's new, innovative security and automation platform, and SecureNet's visionary application will greatly increase consumer-adoption of security solutions and smart technology across all our vertical markets", said Andrew Wilson, CEO, SecureNet.